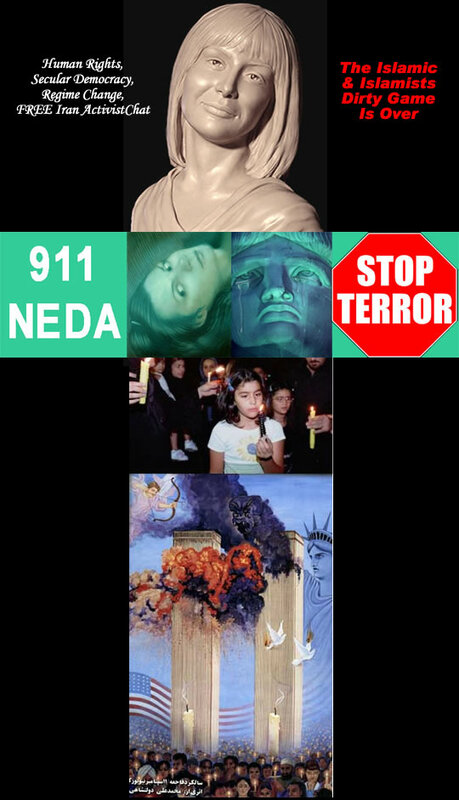 "Here is a photo of the second portrait bust of Neda Angel of Freedom radiating the hope of her people for a free Iran. I hope it brings a smile to your heart. WTC Plan 1 image proposal, recommend to commemorate the 11th of September by using the greatest positive US achievements of 20 century. These 4 connected innovative spherical skyscraper buildings should be as many spheres needed and the total height of each building should be taller than original WTC height . Why sphere? 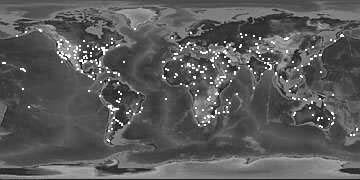 If we look at our surrounding we observe the most resilient birds, dolphins, objects and creatures on earth and space which has been created by forces of nature and million years of evolutions are spherical or has many aerodynamic curvatures feature, and there are mathematical reasons which are beyond this discussion. Any attempt to design similar spherical skyscraper buildings requires joint team effort of NASA scientific team with architects, civil , mechanical , and electrical engineers. I have also used my own new Software Networking Communication theory for designing these spherical buildings. This design from outside does not have a concept of floor as we know it today and recommend each sphere be named after each Firefighters name who defined and proved a new level of humanity or Nobel prize winners in Medicine with significant contributions to humanity. This concept is based on the greatest positive US achievements, contributions and NASA scientific achievements , 10th Century Khayyam poems and 12th century Persian poems "All human beings are in truth akin; All in creation share one origin. When fate allots a member pangs and pains; No ease for other members then remains. If, unperturbed, another's grief canst scan; Thou are not worthy of the name of man." 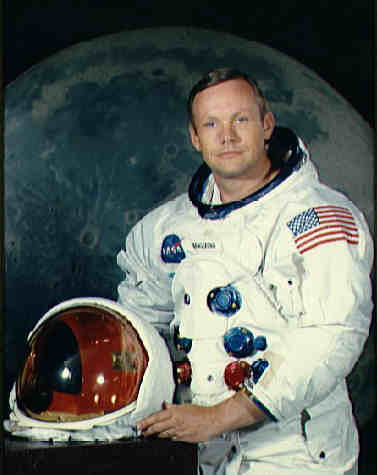 This is an attempt to fight man's fanaticism minds and ideas by learning from history, arts, science, and space. If we look at past 6000 years man's history, realize many forms of primitive religious and non religious fanaticism were the source of many wars, destructions and massacres. We should not forget that it was European and Japanese fanaticism which created 2nd world war with 60 to 70 millions causality, millions of Jewish massacre and total destruction, it was Stalin Communist fanaticism who killed many millions,....etc and currently this primitive barbaric religious fanaticism which is causing problem for world peace and harmony in this planet. 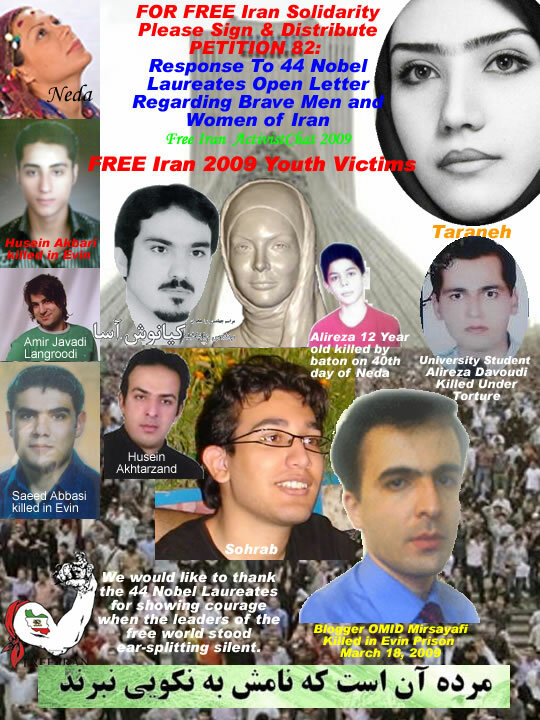 The Fanaticism and human rights violations are source of many problems in this planet. From history we have learned that there is a striking similarity between the WTC Terrorist attack and the burning of Tees-fun library by primitive Islamic fanatic invaders. 1400 years ago, a great collection of books was kept in the Persian empire's Library at Tees-fun, which was the first or second biggest center of art, literature, and science in the world. This vast collection of books was set ablaze and destroyed by Arabian Invaders, setting World's clock back by at least 400 years. I also recommend to build a library in the shape of the above View of Earth image at the exact place of original WTC and call it Tees-fun library to document the forgotten history as a reminder for future generation not to submit to fanaticism. According the book, THE IRANIANS PERSIA, ISLAM AND THE SOUL OF A NATION by Sandra McKay " A tour de force of intellectual comprehension, summary, and balance." -- Washington Times Pg 46. "Finally on a day in June 637, the Sassanian commander, Rustam, reluctantly opened the battle. But the Saddanian army, like Sassanian society had grown ponderous. With its spirit drained off in the futile campaigns against Byzantium, the famous Persian cataphracts became clumps of fat, immobile men battlin a swarm of wasps. The heavily armed cavalry with its supporting elephants which had punished Romans and Byzantines proved powerless against the Arabs on swift camels who attacked and then withdrew into the desert. Over three days, the two sides engaged. On the fourth, the Persians' reluctant commander, Rustam, died. His army went into pell-mell retreat, leaving the Sassanian Empire open to invasion. "If the books herein are in accord with Islam, then we don't need them. If the books herein are not in accord with Islam, then they are kafir (of the infidel) "
The moon has been the object of man's curiosity for perhaps a million years - as long as he has been on earth. This is the greatest positive US achievement of 20 century. 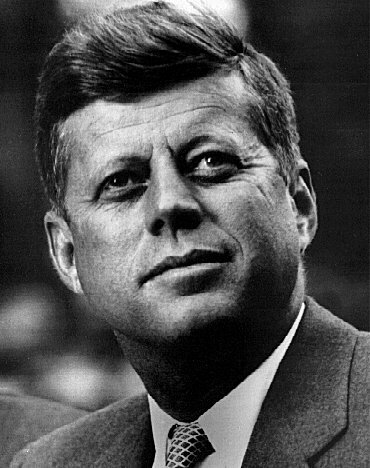 In the honor and memory of both great men of ideas and men of action like President John F. Kennedy, scientist Wernher von Braun, astronauts Neil Armstrong, Edwin Aldrin, many Russian astronauts, many unknown scientists, researchers and engineers, whose contributions over years made this event possible. It will be forever remembered as one of the greatest positive achievements of mankind. We can be very sure that even 1,000 years from now, this trip to the moon will still be regarded as a truly momentous event, one of the great landmarks in human history of which we can truly be proud of and hope our generation will follow them. Khayyam (May 1050 - Dec 1122) was a Persian poet as well as a mathematician and astronomer. The father of Algebra was an outstanding mathematician and astronomer. His work on algebra was known throughout Europe in the Middle Ages, and he also contributed to calendar reform. Khayyam measured the length of the year as 365.24219858156 days. Two comments on this result. Firstly it shows an incredible confidence to attempt to give the result to this degree of accuracy. We know now that the length of the years is changing in the sixth decimal place over a person's lifetime. Secondly it is outstandingly accurate. For comparison the length of the year at the end of the 19th century was 365.242196 days, while today it is 365.242190 days. Khayyam poems are targeting all forms of fanaticism and today we should consider him as father of battle against fanaticism . The Eagle Nebula was photographed by Jeff Hester and Paul Scowen of the Department of Physics and Astronomy at Arizona State University, using the Wide Field and Planetary Camera 2 on board NASA's Hubble Space Telescope on April 1, 1995. Thanks to NASA scientists for educating us. This is another example of great US contributions to the world. Many dream of traveling in space and viewing the wonders of the universe. In reality all of us are space travelers. Our spaceship is the planet Earth, traveling at the speed of 108,000 kilometers (67,000 miles) an hour. In the park there is every manner of emotion and experience expressed: fatherly love, inconsolable grief, comfortable affection. At the center of the park is the Monolith. it took three stone carvers fourteen years to complete the Monolith, working daily and beginning in 1929. 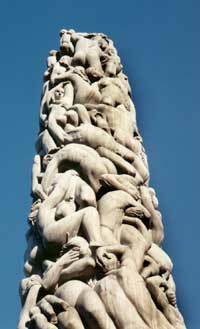 The column, 14.12 meters (46 feet) high carved out of a single block of stone, consists of 121 figures. 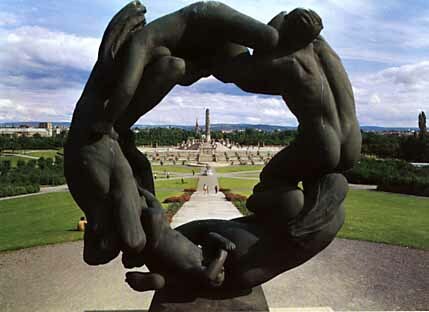 THE VIGELAND PARK covers an area of 80 acres. 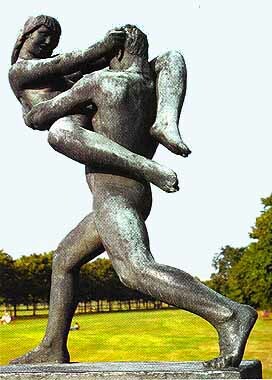 The 212 sculptures are all modelled in full size by Gustav Vigeland. 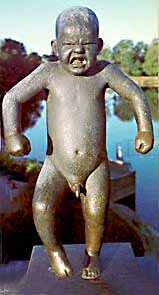 This Gustav Vigeland's masterpiece the angry boy may symbolize many children who lost their parents . Vessel with Two Feet, Northern Iran, 1000 - 800 B.C.E. Iran can be considered as one of the ancient world’s empires, which methodically and actively was devoted to the development of the art of dance. It is the irony of history that this art form has been prohibited in the same country that once upon a time performed a central role for its expansion and advancement. Inscribed on a clay cylinder in cuneiform discovered in 1879 by Hormoz Rasam in Babol and now in The British Museum.
. .When my soldiers in great numbers peacefully entered Babylon... I did not allow anyone to terrorize the people... I kept in view the needs of people and all its sanctuaries to promote their well-being...... Freed all the slaves I put an end to their misfortune and slavery (referred to 42,000 Jews and other religious minorities). The simplicity of Tomb of Cyrus The Great Has A Great Message. Old Persian culture and empire was the dedication to ethical and moral excellence which was based on three simple fundamental principles: GOOD THOUGHTS, GOOD WORDS and GOOD DEEDS. Cyrus (Kurush in the original Persian) was born about 590 BC, in the province of Persis (now Fars), in southwest Iran. Cyrus the Great was the founder of the Archaemenian dynasty and the Persian Empire, the first empire throughout human history. Cyrus military victories eventually put him in possession of the largest empire in the world at that time. No doubt Cyrus was a remarkably humane ruler for his time. Certainly he has achieved his greatness not by words but by hard and difficult choices, actions, and sacrifice. Cyrus was clearly a leader of immense military ability. But that was only one facet of the man. More distinctive, perhaps, was the benign character of his rule. He was exceptionally tolerant of local religions and local customs, and he was disinclined to the extreme brutality and cruelty, which characterized so many other conquerors. The late H. Behzad was the greatest leading contemporary miniature artist. Behzad has created a new school and a new style, Behzad raised miniature painting to its apogee. Behzad had profound love for the Rubayyat of Omar-Khayyam. The philosophical influence and thought of Khayyam often inspired him to select topics for painting from the Rubayyat. The poems from Khayyam, English translation is by Edward Fitzgerald and the above painting from Behzad. 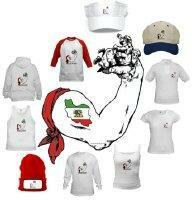 it is man's eternal desire to be free and independent."